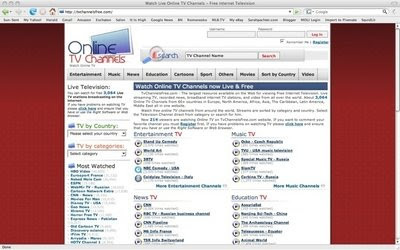 Here's another aggregator of online television. Of course, many individual TV networks provide streams of their shows, and Hulu.com is a nice repository of programming from a variety of sources. Archive.org is a giant storehouse of audio and video material as well as documents and other content.